Signs are there to be climbed! After climbing all morning through the beautiful mountains of Bosnia, the first thing I thought as we free wheeled down the road on the Montenegrin side was; it’s not as beautiful as I expected. Kind of harsh I admit! The landscape was rocky, dry, and quite bare. Not the Montenegro I remember of 2015. Of course, first impressions are often wrong. After snacking on left overs, we rolled into Niksic in search of potato burek (second lunch) and an ATM. 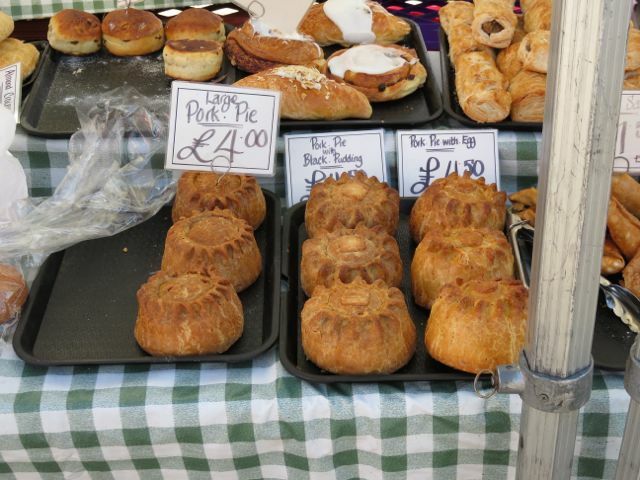 We found both, with the potato burek possibly being the best we’ve ever had (big statement I know!). While in the bakery, unashamedly scoffing our second helping, a guy came over to talk to us. Petar was a local Warmshowers host, and after chatting for a bit, he offered to show us a scenic route to Podgarica. We happily accepted. What followed was up there with some of the best and most scenic cycling we’ve done. We followed Pieter up a small, smooth road (Montenegro has ridiculously good roads) as it wound itself gently up the mountains. The views were magnificent and I felt dwarfed by the sheer beauty of nature all around us. By the time we reached the Ostrog monastery it was late in the day, making Podgarica as we had planned was looking unlikely. It was one of those moments where you choose just to embrace the moment and go with the flow of what is being offered up. Petar showed us the church and explained a little bit about his religion. Although neither of us are the slightest bit religious, I do appreciate the sacredness of churches, temples, mosques, and the beauty of the architecture and art work. The icons in orthodox churches are impressive. And it has an air of mysticism I did not expect. Later on we explored the high monastery, which is impressively cut into the stone. It is a really beautiful and spiritual place and a site of Pilgrimage for Christians, as Saint Basil of Ostrog’s body is there (rather creepily in an open coffin). He is apparently the saint of Miracles. Petar, being the generous and humble guy he was, organised for us to stay in the monastery dormitory that night. He also stayed as he is currently in between jobs and had no plans. I love how he could just spontaneously join us. We spent the evening drinking tea and talking; about religion, the difference in our lives, relationships, travel, anxiety, love…Petar is not one to waste time on trivial matters and it was refreshing to talk to someone obviously so smart and interested in everything. In the morning singing from the church reverberated over valley in a wonderful and other worldly manner. The sun shone, promising another perfect autumn day. It felt like we were outrunning the bad weather again. The three of us left early and headed down the mountain and valley into Podgarica, the Montenegrin capital. Here we ate lunch in a park by the university that Petar had once attended. It was now time to head to the Albanian border, just over 20km away. Petar decided he may as well join us right to the border. Unfortunately he hadn’t brought his passport, otherwise I think we would have continued cycling with us! The road out of Podgarica was awful at first, fast and busy, but luckily improved as we began climbing out of the valley and back into nature in the late afternoon sunshine. Lovely in the late afternoon! At the border we said our goodbyes. Meeting Petar was certainly the best thing that happened to us in Montenegro. It made our brief 36 or so hours here so much richer, and showed us places we would otherwise not have seen. We may lead very different lives, and come from very different backgrounds, but this ride was a reminder of how human’s are kind and open, given half a chance. Beer and concentration. I think I was writing the blog! 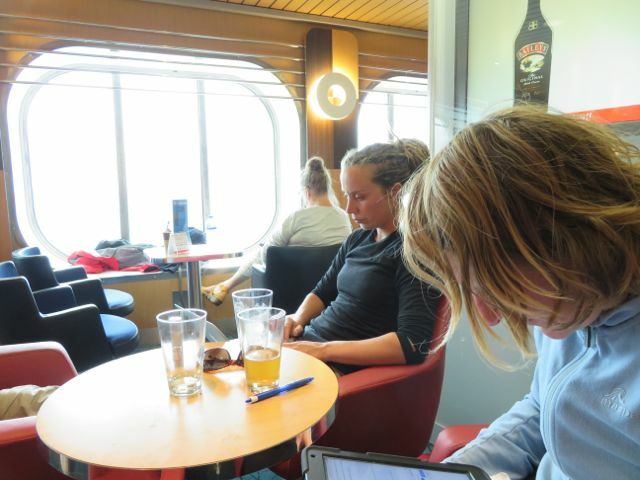 The ferry from the Hook of Holland to Harwich was lovely. 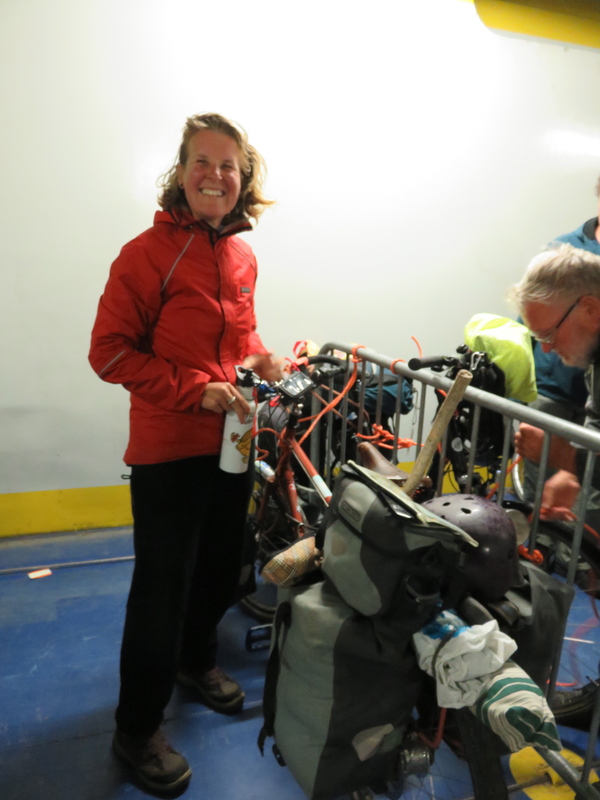 We met several cyclists, all from the UK returning from shorter journeys on the continent. Beer was shared and stories told. 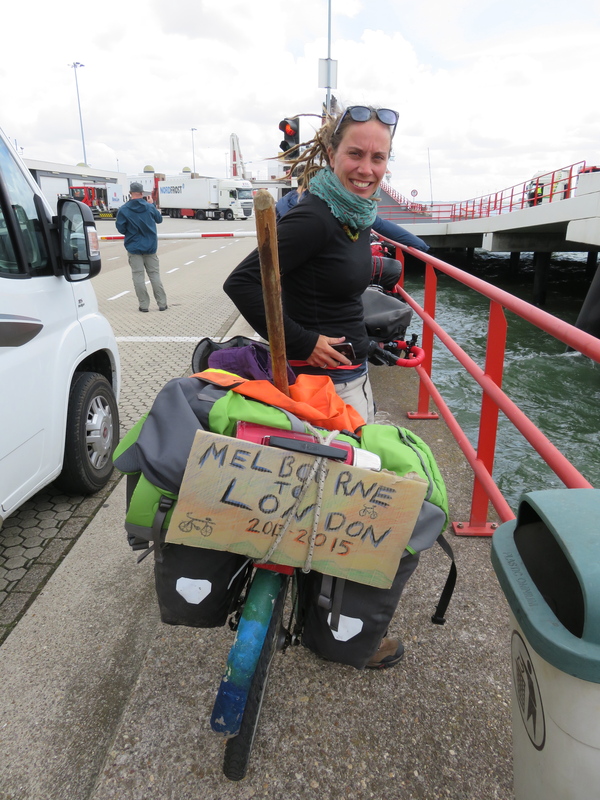 It was good to see the cycle touring spirit alive and strong in the UK. By the time we docked it was early evening, I took in a breath of the fresh sea air and tried to take it all in. Reaching Europe way back at the Greek border had felt momentous, this felt even more poignant. Not only had we reached our final country, but we had also reached our new home. I look forward to getting to know you Britain. The English landscape was immediately refreshing with its rolling hills and woodlands. I love Holland but it is rather flat, the undulations came as a relief. 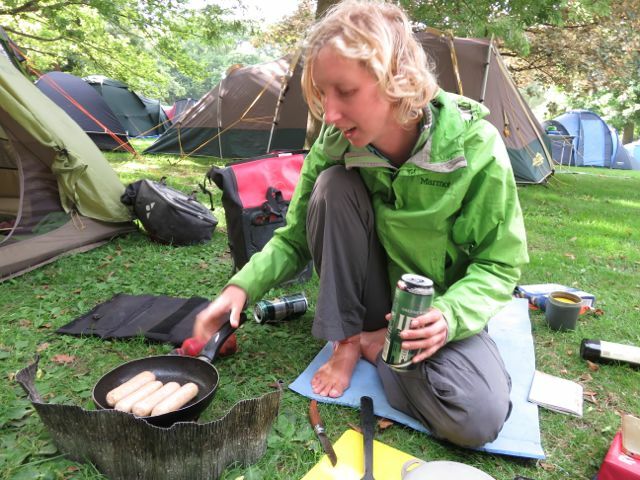 A few miles from the ferry port a pub offered camping for five pounds. 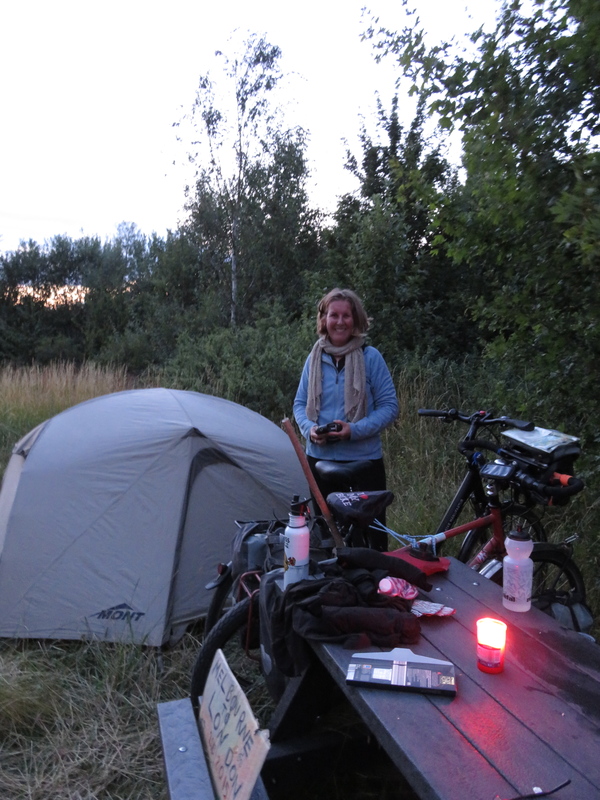 After setting up it was time for a warm flat beer to celebrate arriving at country number twenty four. 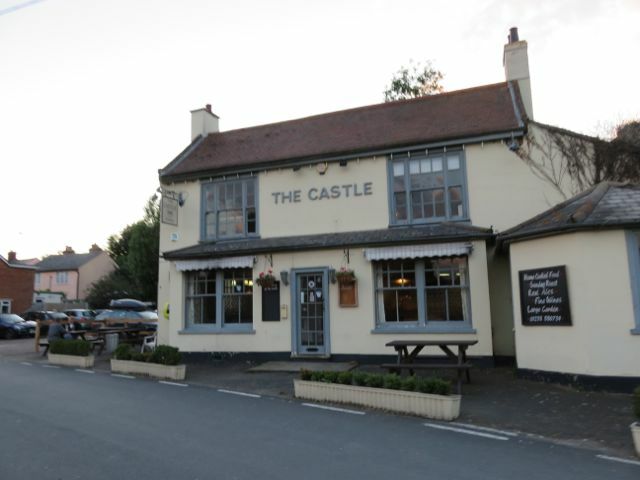 Five pound camping at the back of this pub! 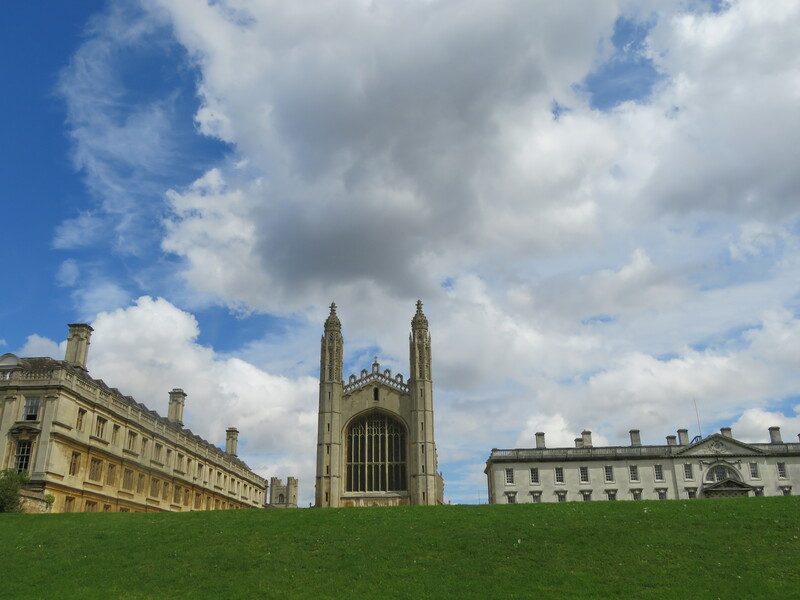 It took us a day of steady cycling to get within striking distance of Cambridge. 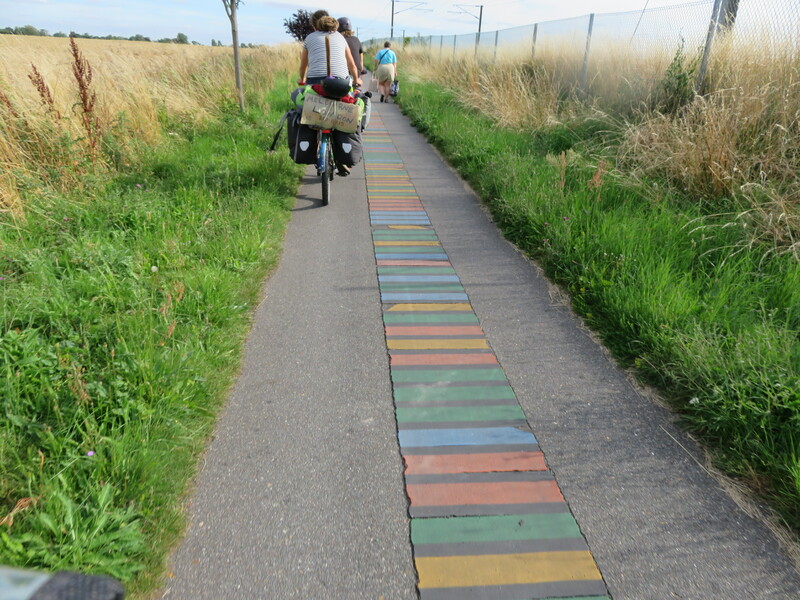 Gone were the well marked bike paths of The Netherlands. We were back in car country. 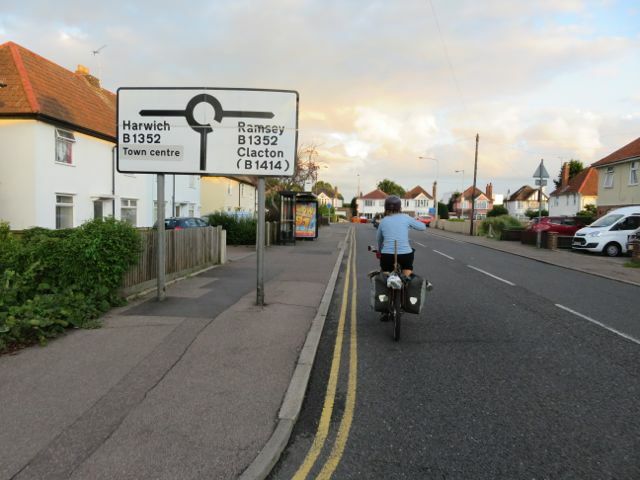 Sadly England is not the most cycle friendly land we have come across, odd given its very strong history of cycling. 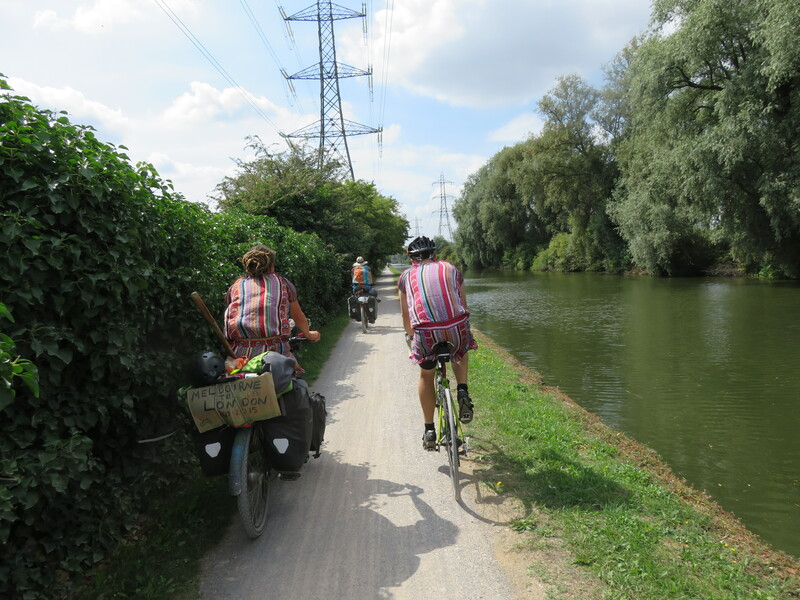 Still, it’s not the worst place to pedal – although don’t try looking at the sustrans website as it will result in an instant headache and much confusion. No wonder there is a twitter feed ‘lost in sustrans’ (sustrans is supposed to be a cycling website). 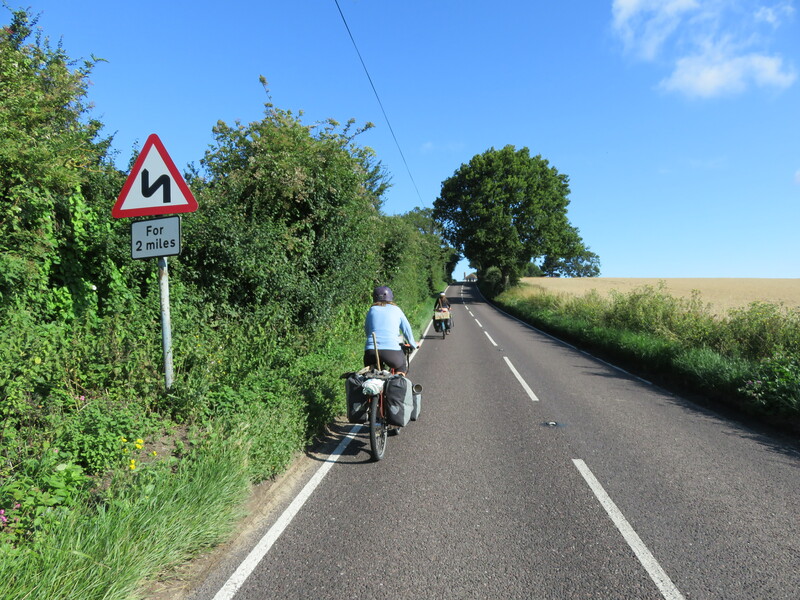 Our first day cycling through the English countryside had us on quiet hedged roads, through charming countryside and picturesque villages. 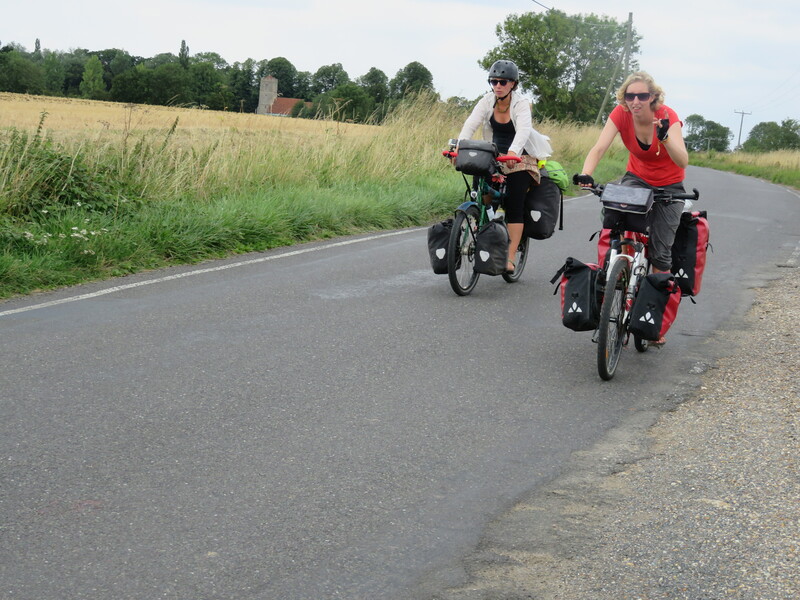 Locals were friendly and it was a novelty to be able to speak English and cycle on the left side of the road! 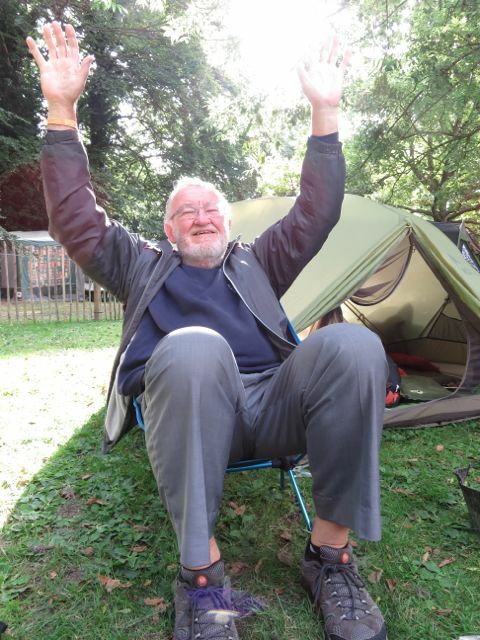 In the evening, struggling to find somewhere to pitch our tents for the night some lovely ladies on horses offered up the Parish Common (although if anyone objected we were not to tell it was them who had suggested it). But as night fell and we cooked our pasta, a few dog walkers curiously gazed at us but didn’t seem to mind our presence. 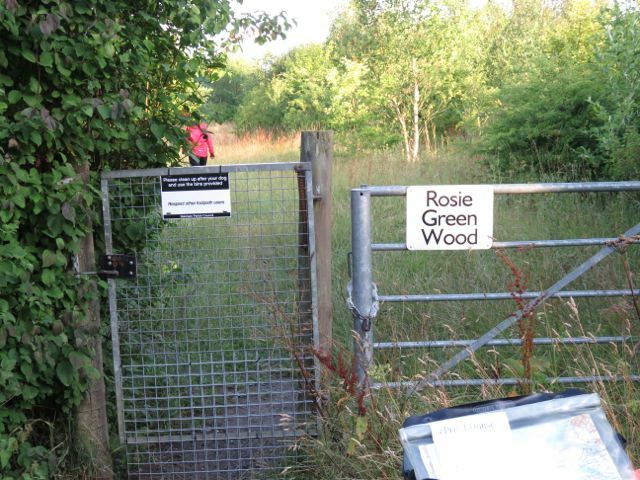 It was a beautiful little spot, a pocket of wilderness in the otherwise quite gentrified countryside. The roads in England are small! 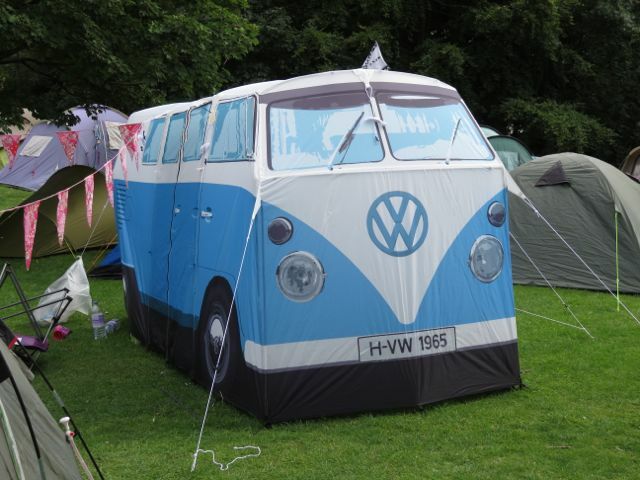 Could this be somewhere to spend the night? 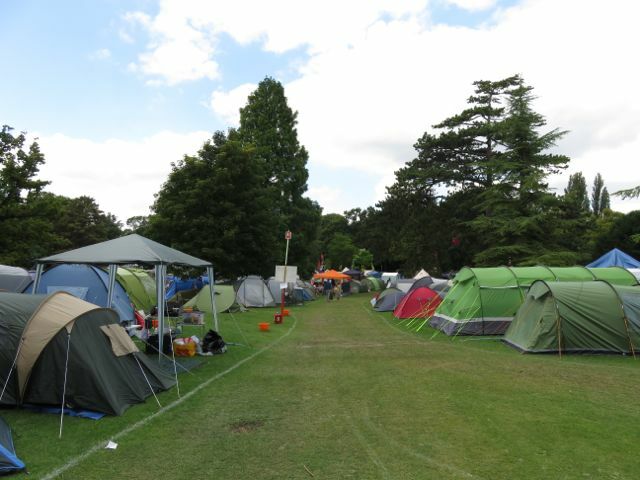 Parish Common camping. A table is such luxury! 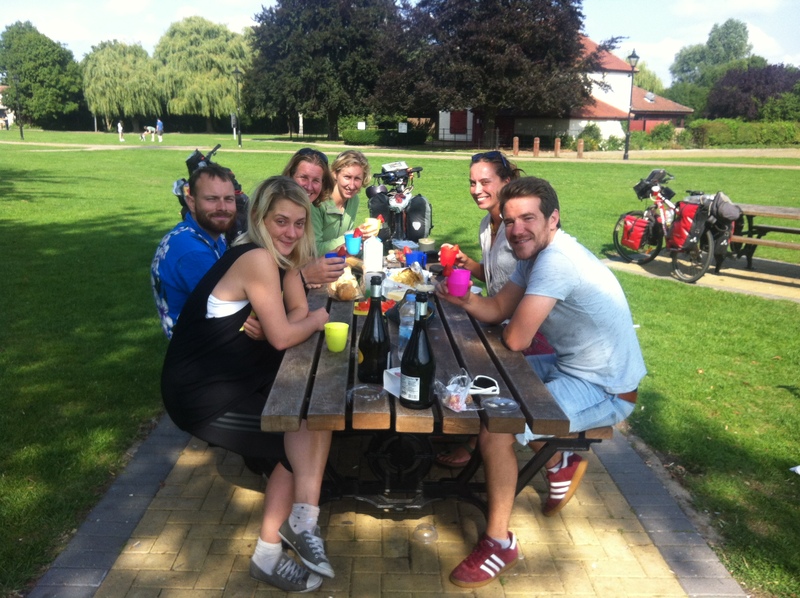 A busy morning cycle saw us reach Cambridge to be reunited with Courtney who we had not seen since long ago Dushanbe. We had been looking forward to this reunion for months. 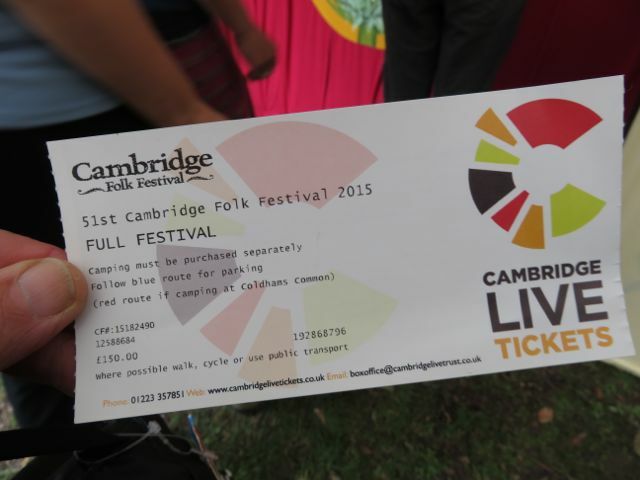 Not only would it encompass the end of our journey, but also the Cambridge Folk Festival. Soon our tents were pitched under a tree and while people bustled around us still setting up, tea was brewed and we eagerly caught up on the last few months. There were many stories to share, especially about surviving the northern hemisphere winter mostly in the outdoors. It was interesting, although Courtney also loved cycling Europe, she too felt like something was missing. An edginess, a rawness, something. We all kind of missed the adventure of the world’s more far flung places and the challenges that come with that. The first of many festivals we hope! The four of us quickly settled into festival life. After a prolonged breakfast, usually involving eggs, copious cups of tea and reading we would eventually meander over to see the music. 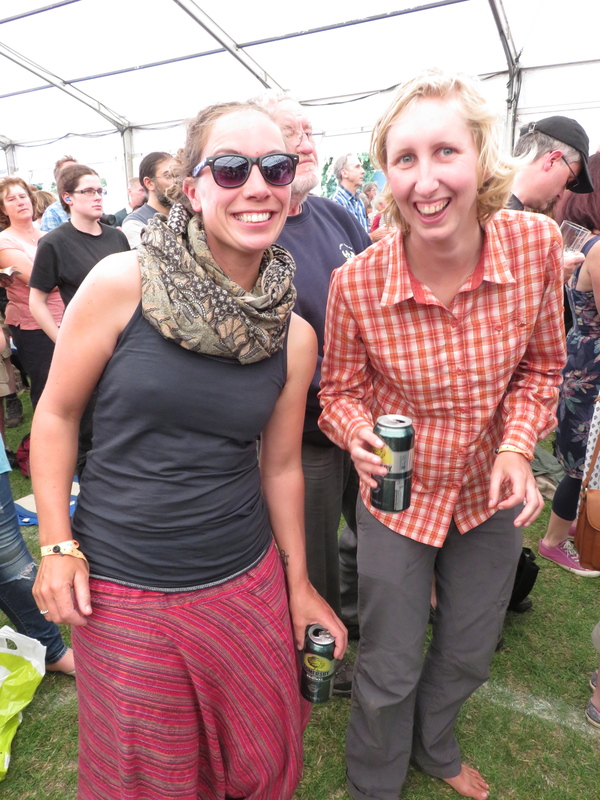 There was much dancing, cider drinking, exhausted moments of napping at the back of the crowd, dirty barefeet, beautiful music and generalised festival happiness. 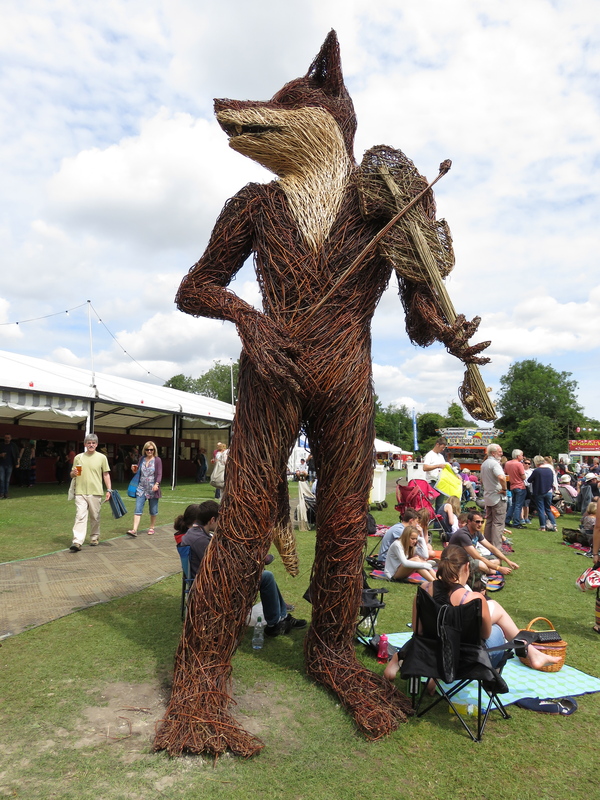 I suspect Cambridge will not be our last festival in the UK. 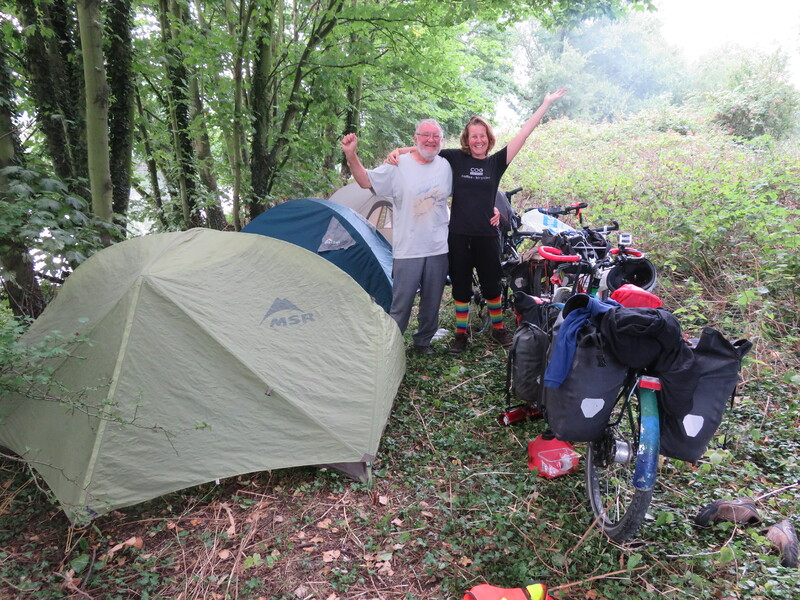 Once the long days of festival fun drew to a close the four of us packed up and cycled into the suburbs of Cambridge to meet Steve and Roxy. I went to school with Steve and had randomly remembered that he now lived in the UK. I had thought, why not catch up for a beer with an old class mate? 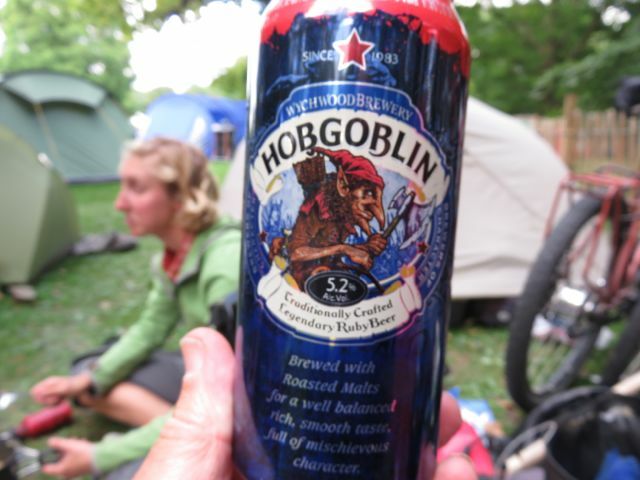 What we got was much more than a beer! Steve and his wife Roxy generously invited us all to stay with them. 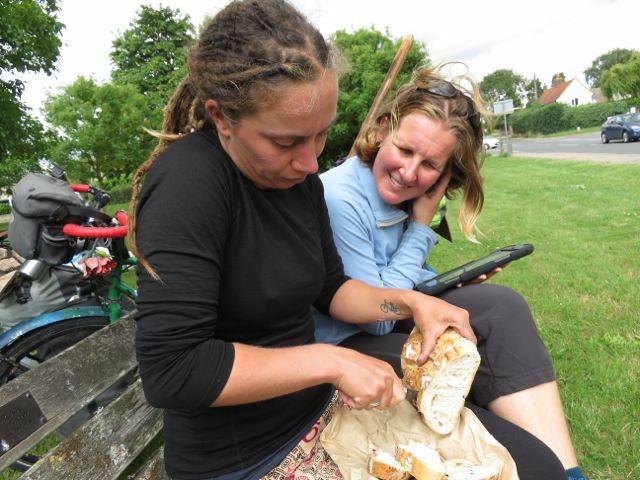 What was even cooler was that Roxy is an avid cyclist and works for the Cambridge Cycling Campaign. Once again the universe provides! 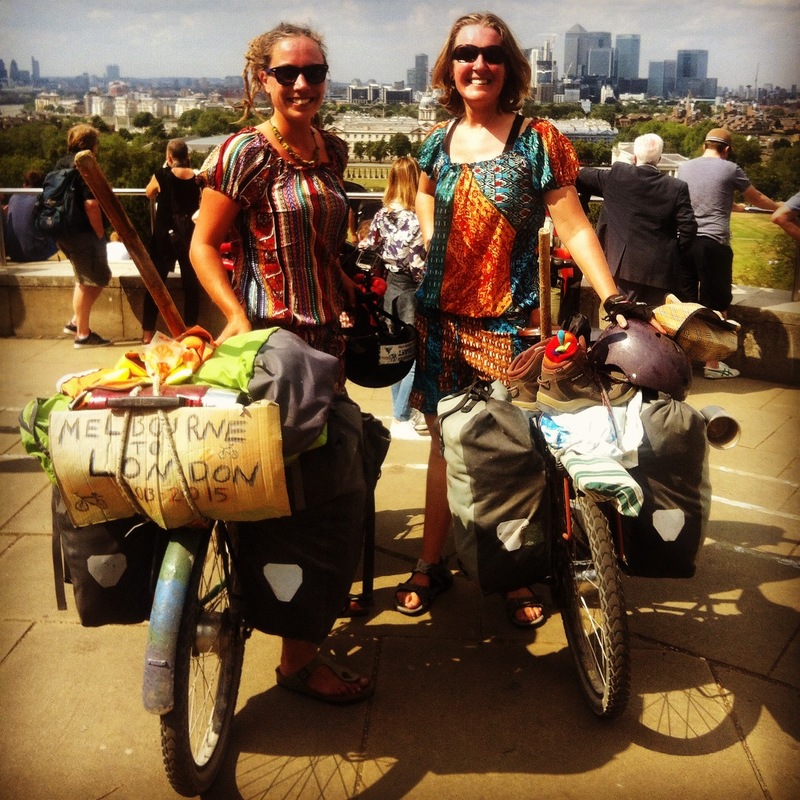 We were welcomed with open arms and promptly set about gently messing up their home as only post festival cycle travellers can. 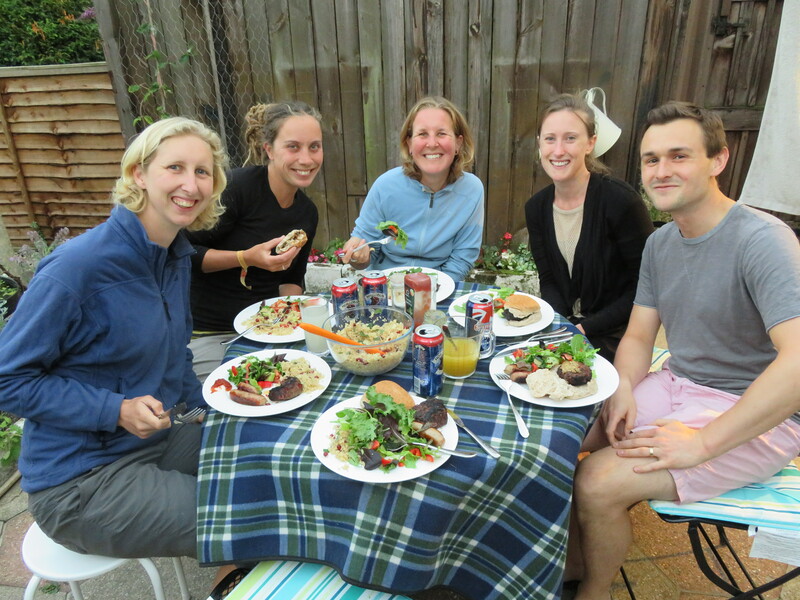 Later we caught up on life since school over a BBQ and a few beers (how very Australian). 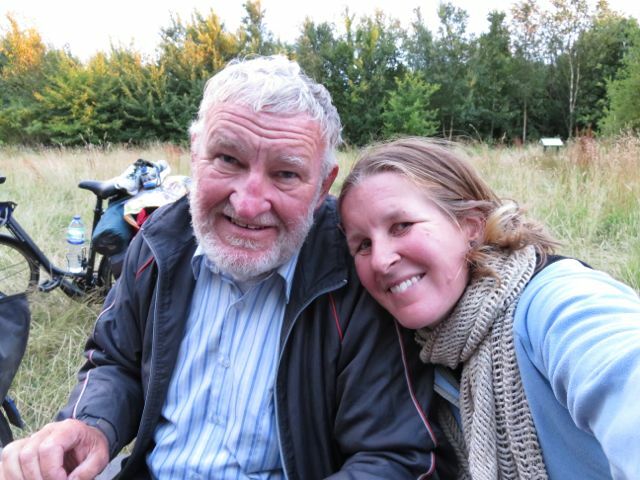 It was also really interesting for Astrid and I to hear about Steve and Roxy’s experience of living in the UK as we were soon to follow in their footsteps. The following day I did something I should have done ages ago – organised some of our photos. For anyone interested there now a slide show on our Flikr Page https://www.flickr.com/photos/foonsonbikes/albums/72157656344837999. Its rough and still needs a bit of work but it does show a bit of an overview. 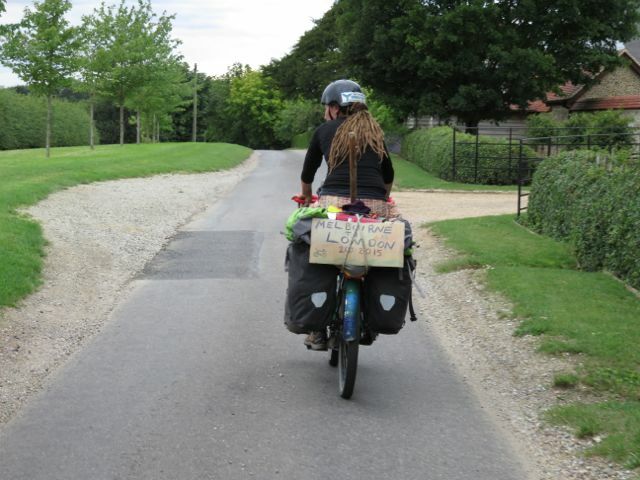 The main reason for this sudden and uncharacteristic spurt of organisation was because Roxy had asked us to give a talk about our trip to her colleagues at the Cambridge Cycling Campaign. 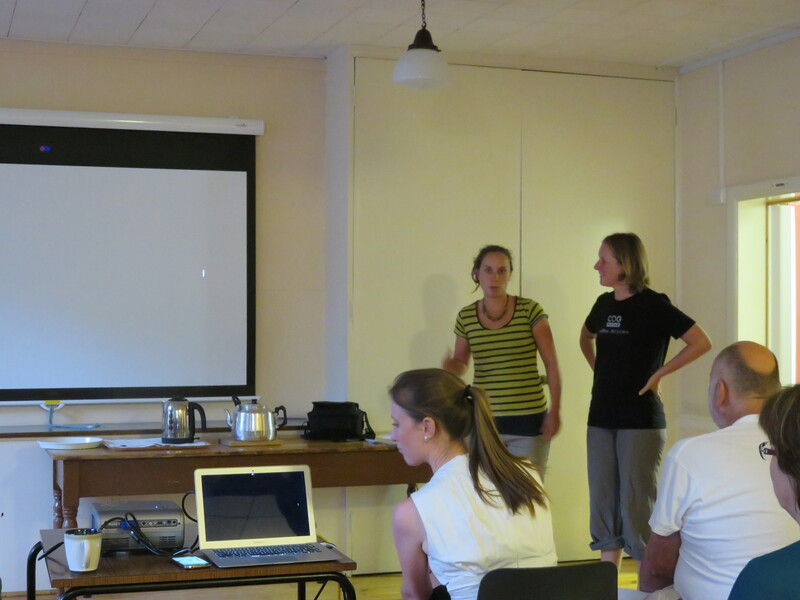 So in the evening the 6 of us pedalled into Cambridge, and Astrid and I, as well as Courtney, gave a small presentation about what it’s like being a cycling traveller. Thankfully when you are in a room full of bicycle enthusiasts it isn’t exactly hard to convince people about the merits of bicycle travel. No one looked at us like we had two heads or needed to be locked up. Everyone was full of excitement and sharing our stories felt completely natural. Afterwards we went to the pub and continued on in a less formal setting aided by ales. We weren’t the only ones sharing information though. It was a great opportunity to ask everyone about how we should cycle into London from Cambridge. We got a lot of good information. Steve and Roxy kindly let us stay the following day. We had planned to leave but somehow (the ales?) just couldn’t face the road. 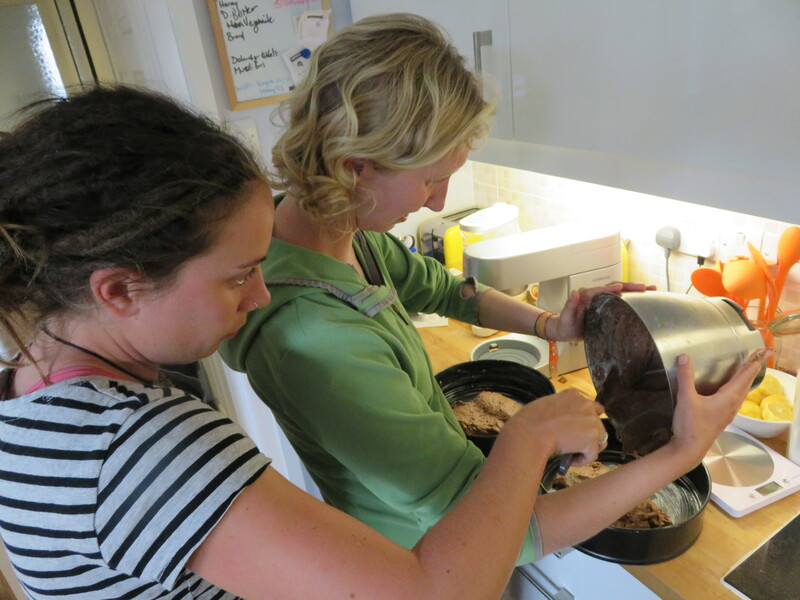 Instead Courtney and I baked a cake and we all drank copious cups of tea. It was such bliss to do almost nothing at all. The seemingly most mundane tasks are wonderful to the long term traveller. Give me a kettle, a toaster and wifi and I am endlessly happy these days. 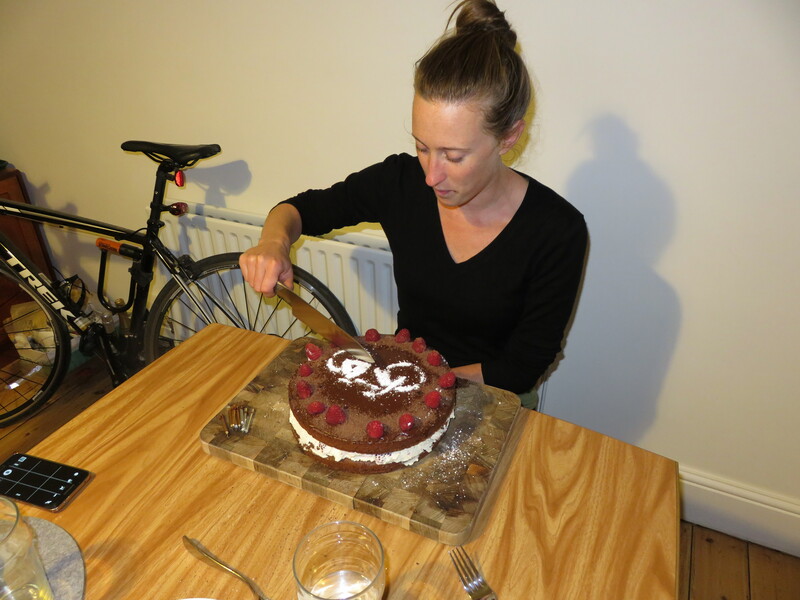 And made a bicycle birthday cake! London however was calling. 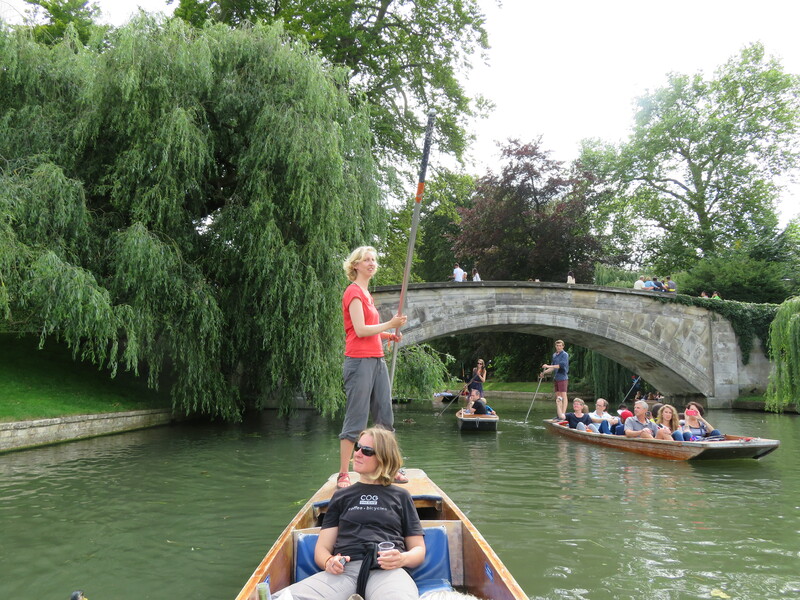 We left the next day but not before partaking in the age old tradition of punting. For anyone who doesn’t know what this is (I didn’t before) this involves sitting on a wooden boat (preferably with wine and cheese) while one person stands on the back and uses a long stick to propel the boat forwards. This takes some getting used to and a specific set of skills not readily found in the cycle traveller. Courtney and I prevailed and eventually got the hang of it. 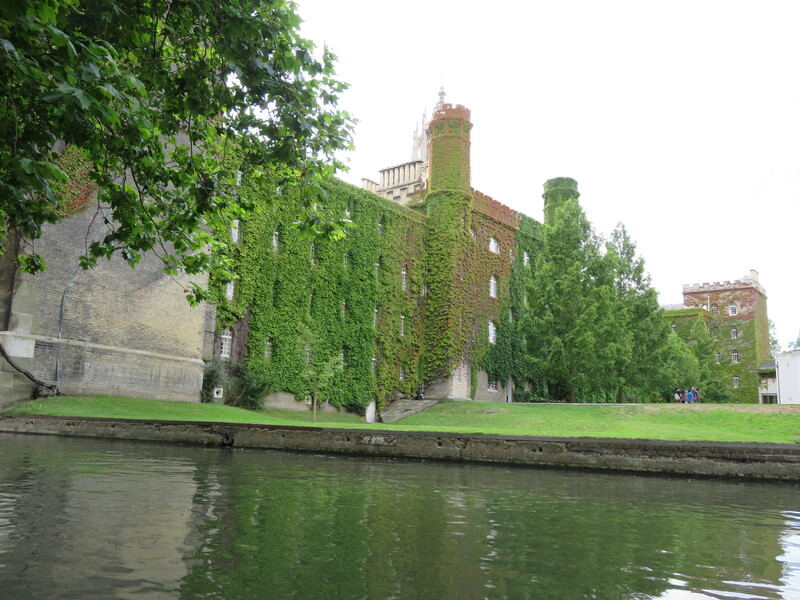 We punted up and down the Cam river, admiring the likes of Kings College. It was almost as idyllic as it sounds. The un-idyllic part was the occasional crash caused by either us or one of the other groups of beginner punters. 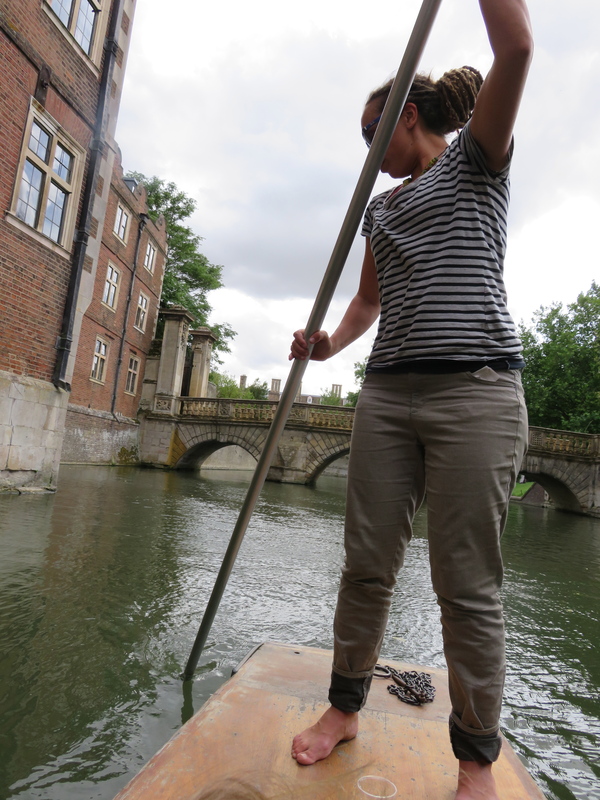 Punting is best when you have wine and someone else does the work! By the time punting was over it was time to leave town. For some reason my enthusiasm was low. 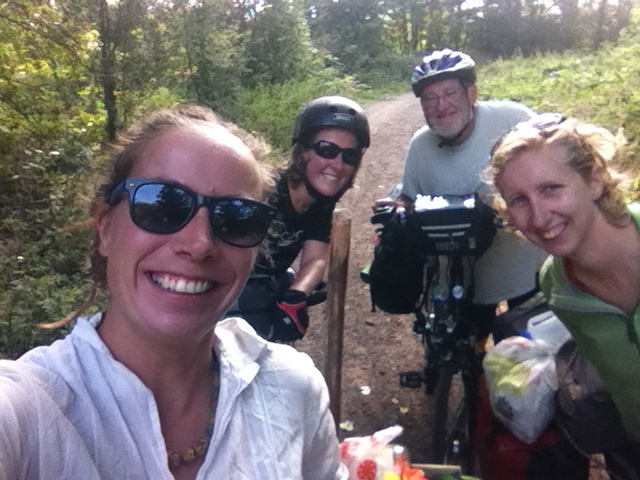 We cycled about 10 miles before turning off a country road and following a small track to the edge of some dense woods. 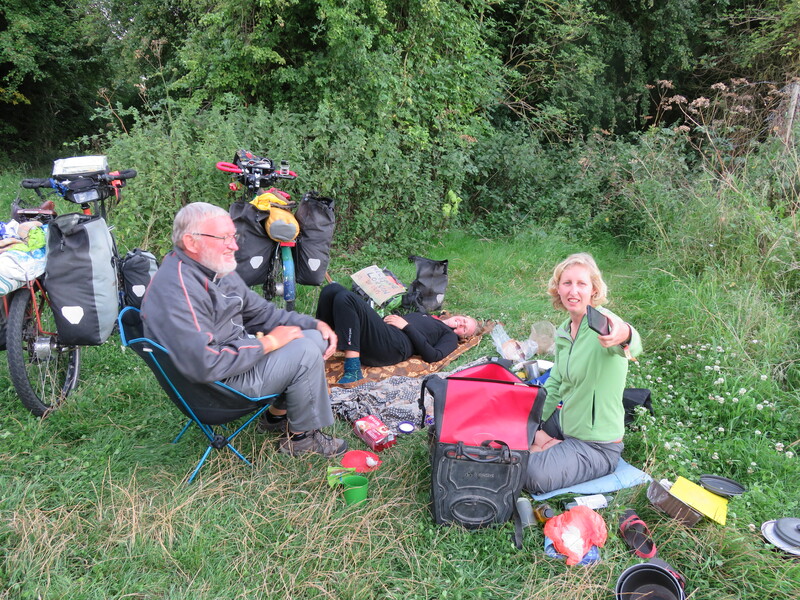 It was a lovely spot and the four of us shared the last of our wine and prepared our evening meal. Our peace was however soon disturbed. For the second time ever (the last time was in NSW) we were found by an initially hostile individual. At first he could barely comprehend what he had found and firmly but politely ordered us off the land which he said belonged to a farmer (his boss). He was quite civilised about it and we were allowed to finish our meal first. This bought us some time and the four of us used our considerable charms to draw our new friend into conversation. After 15 mins he kindly said we could stay and we were left in peace. Thank you. Our second last day started early as we wanted to be off the land before the workers arrived. 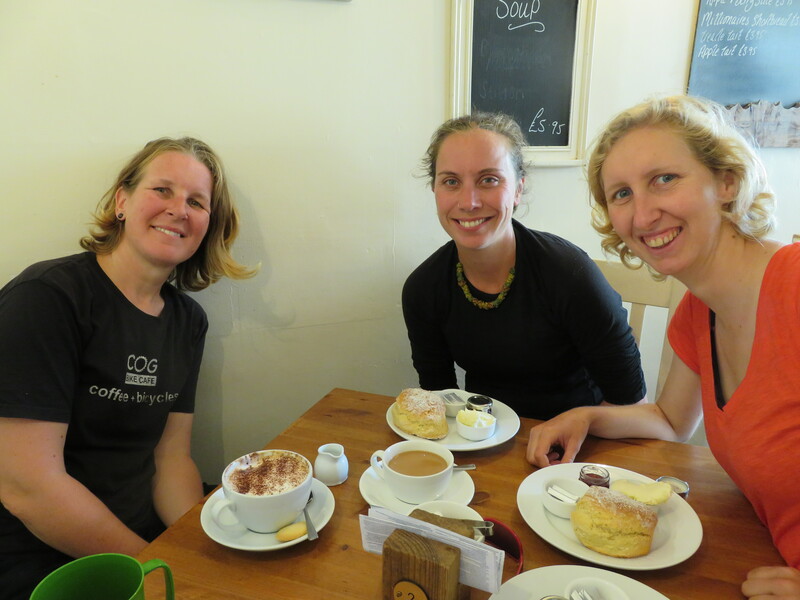 Our route took us over rolling green hills, along cute back roads and into a cute village for cream tea. 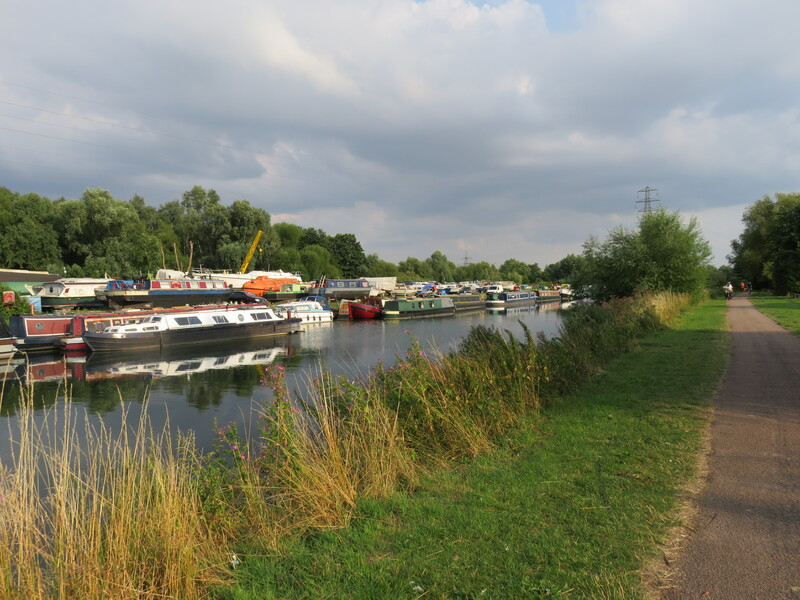 In the afternoon we reached the Lee Valley – parklands and canals not far from the M25 (the motorway that borders greater London). 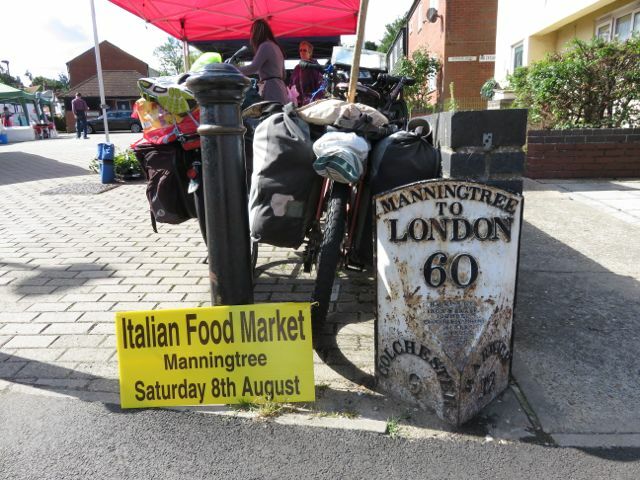 Due to our proximity to London I was a little apprehensive about finding somewhere to camp. The universe more than provided. 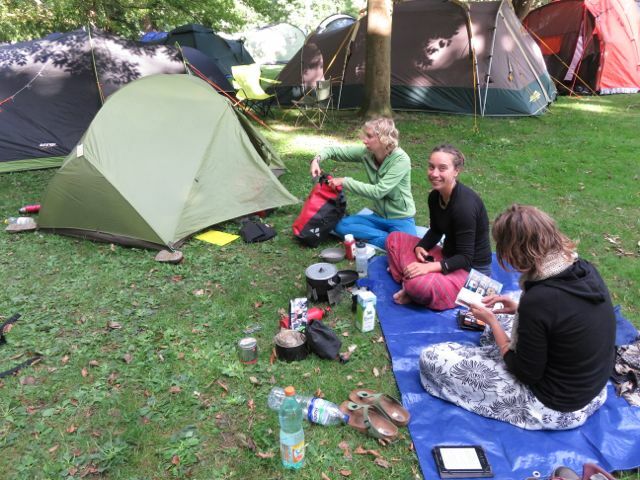 We asked some people who lived on the canal (we thought they looked suitably dodgey) if there was anywhere we could put our tent – ‘anywhere you like’ was the response we got. Soon enough, just over a small bridge we found a hidden clearing right next to the canal. Time to break out the Pims. Our ‘last’ night of freedom. There was even a place to build a fire. 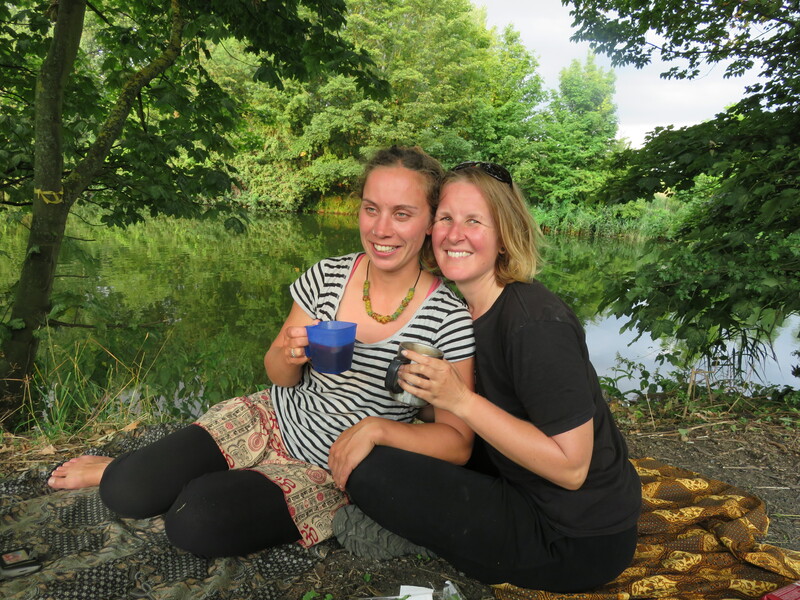 Incredible, here we were wild camping less than 40km from central London. It was a special night for us all because really it was the finale for everyone. 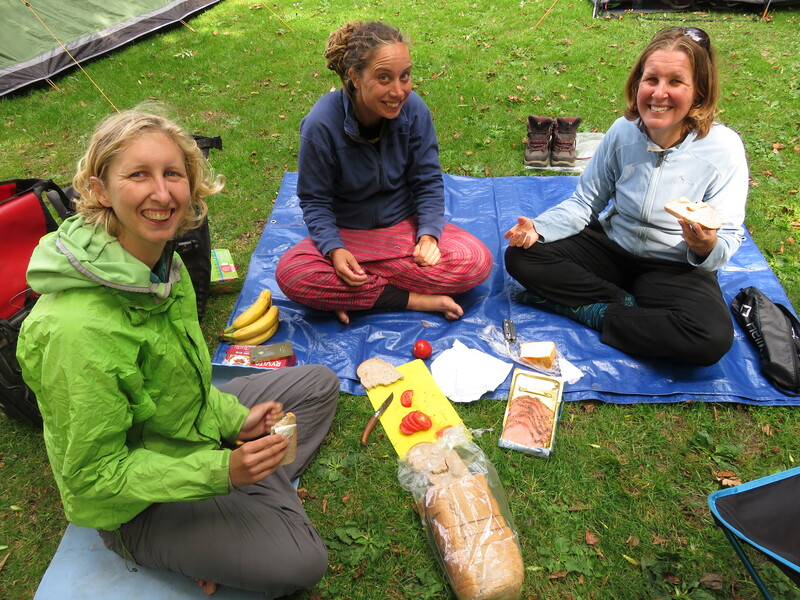 Courtney who had basically cycled from Mongolia was soon to be swapping her bike for hiking boots, Vari who had come all the way from Reggensburg was shortly off to Latvia, and Astrid and I would soon be living a very different life. I tried to take the moments in fully, but these moments are often hard to capture as you are living them. Our final day dawned promising a lovely summer’s day. 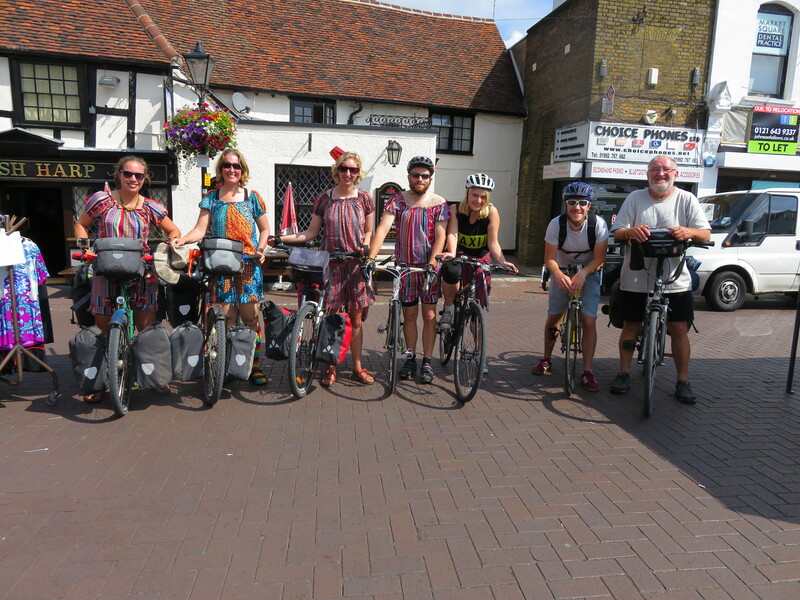 We had a quick bit to eat and cycled the 10km or so to Waltham Abbey. Here we were reunited with part of ‘the pod’ from long ago Malaysia. Charlotte, Ben and Kit had caught the train out early to meet us. What legends. It was a wonderful reunion followed by a champagne breakfast in some lovely gardens. Champagne breakfast. Ben your awesome shirt was so appreciated! As we were preparing to leave Waltham Abbey I came across something I had been looking for for 2 days – onesies! It had been my dream to cycle into London wearing something outrageous. A onesie was my first choice. Sadly yesterday had proved fruitless in my search. But here, right in front of me were a a bunch of colourful onesies hanging on a rack. It was just too perfect. It hardly took any convincing. Soon Astrid, Courtney, Ben and I were clothed in our rather ridiculous new outfits, ready to cycle into the capital. The cycle into central London was surreal. We followed the narrow canal path for miles, finally getting a glimpse of the iconic high rises. I was filled with a jolt of excitement. This was actually happening. More than 2 years of cycling and we were nearly there. Not long and we were out of the parklands, stopping for a pint in a brewery (Crate) in Hackney Wick (soon to become one of our locals). Then with Ben’s expert navigation we pedalled through East london, took the walk way under the Thames and popped out in Greenwich. A small climb and we were suddenly 100m from the Greenwich Observatory. We both choked up a little as we slowly pedalled towards the lookout and then bought the Dirty Salmon and the Green Fairy to a stop. London spread out before us. This was it. This was the end. Although by now the concept of this being just a linear journey with a beginning, middle and end did not ring true. Sure, this was a kind of end, but also a new beginning. It was a moment in time. A moment in our lives. Two years, four months, two days and three continents. We took a moment or four and then headed with our little team to Black Heath where more friends joined us. The afternoon was spent on the Heath sipping beers and enjoying the warm summer evening. It felt crazy and amazing to be alive, surrounded by friends, the sky streaked with pink, a new adventure waiting. P.S We plan to continue our blog. 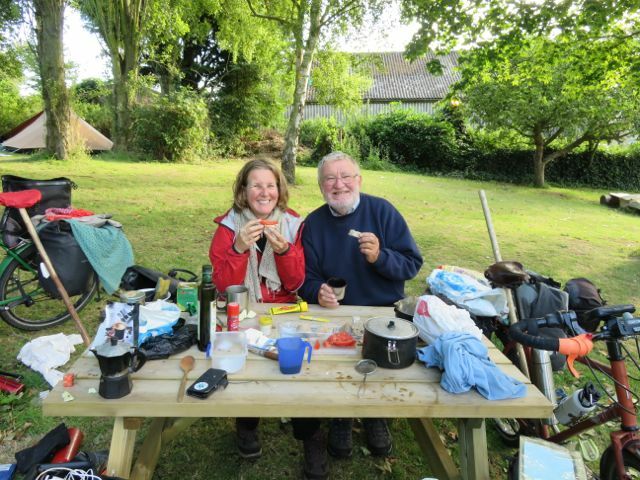 After this we head to walk across Spain, then onto the UK for a more settled adventure. We shall let you know how we go! Thanks for reading this part of our adventure. Love Jude and Astrid.